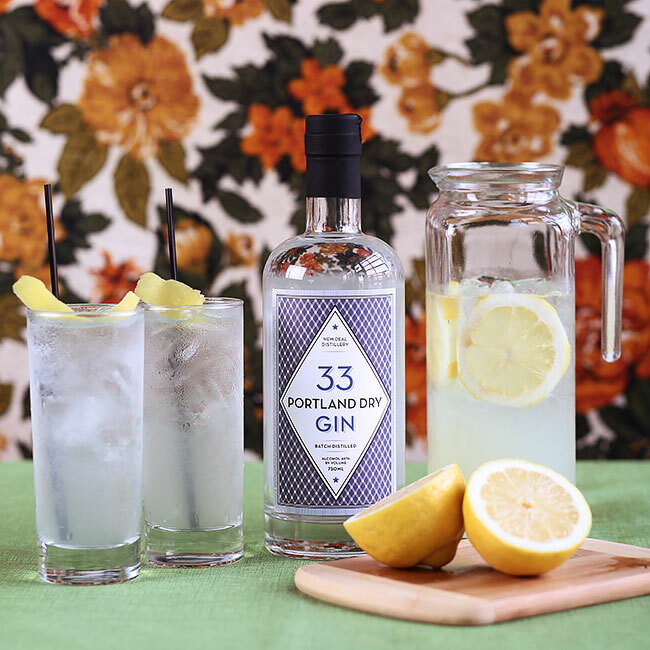 Our Gin 33 is perfect in this classic, warm weather refresher. Add gin, lemon juice, and simple syrup to a cocktail shaker. Fill with ice and shake until cold. Add soda water to the shaker and strain into a collins glass filled with fresh ice. Twist the lemon peel over the cocktail and drop into the drink to serve.